2010-05-28- Toronto - Aga Khan at Foundation Ceremony 08.jpg | Ismaili.NET - Heritage F.I.E.L.D. 2010-05-28: H.H. 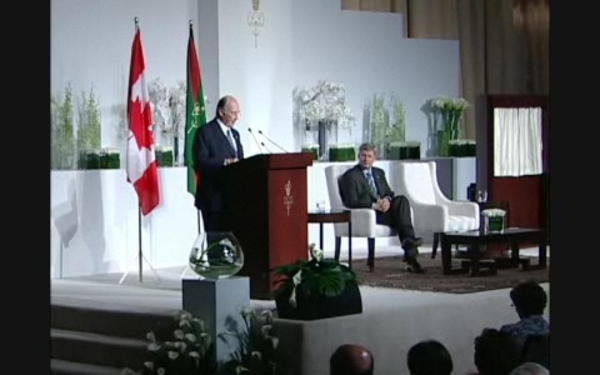 The Aga Khan Speaks at the Foundation Ceremony of the Wynford Park Complex after receiving Honourary citizenship from Prime Minister Stephen Harper.